Everything in this world comes to end. Most companies have implemented contractual jobs that lasts for two to five years. 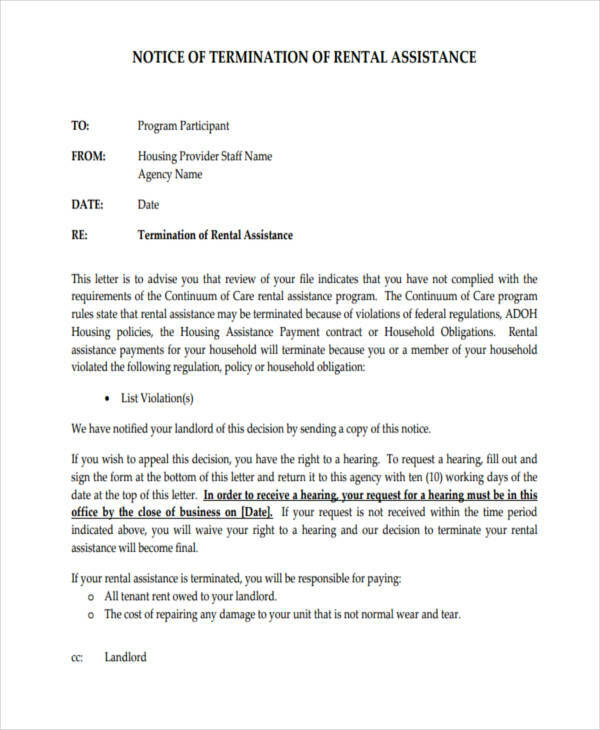 Other than employment, even a rental term ends resulting to notices like notice to vacate or tenant eviction notice. 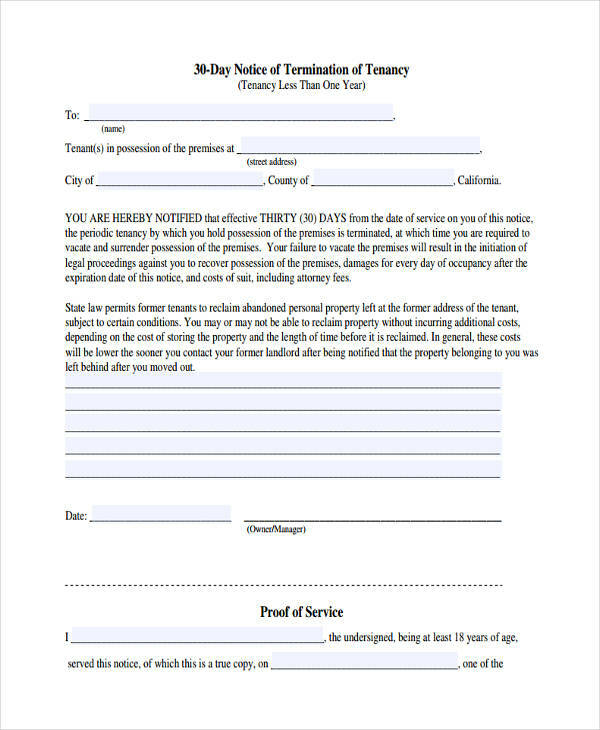 Notices like these are generally known as a termination notice. Knowing when something is going to end, rather than telling or notifying a person personally, which is more time consuming and sometimes inconvenient due to nonavailability of the person of interest, formal notices would save you from all those troubles. Want to learn more? You can check the examples below. 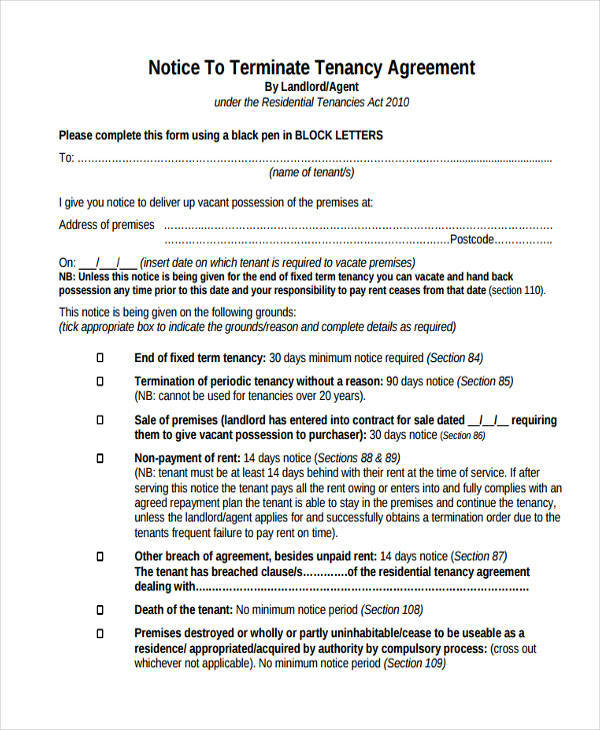 What Do We Mean by Termination Notice? 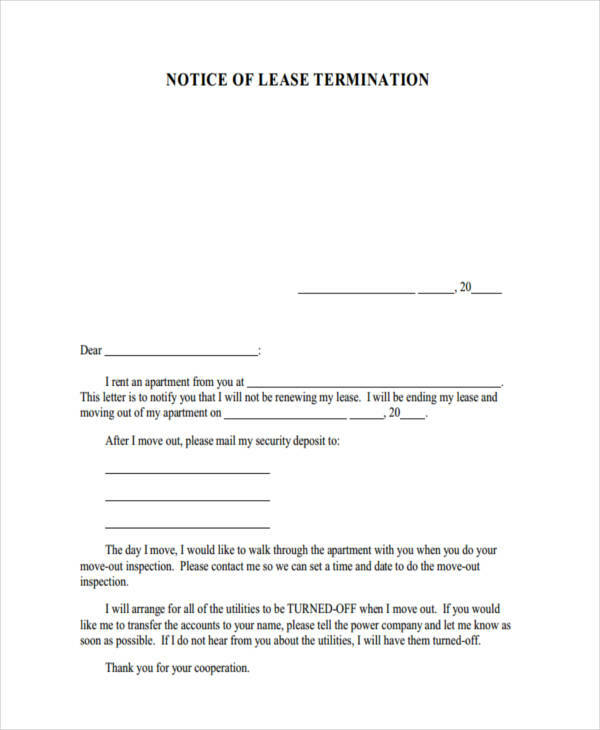 It is not that hard to understand what a termination notice is. By the word termination, it simply means that something is coming to an end. That something needs to be stopped. That something is finished or done. A sample notice in simple terms is a reminder, either printed or written. 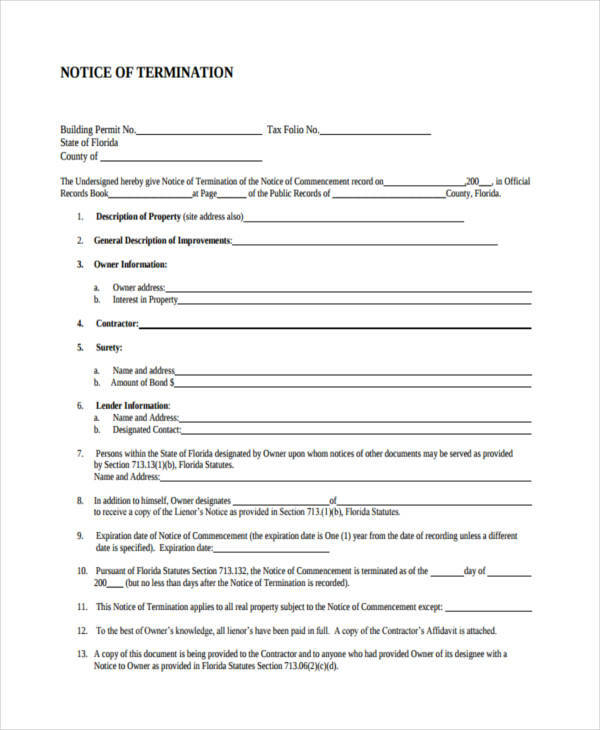 In short, a termination notice is a written reminder of an undertaking or a service that will soon come to an end. Terminating something or someone is not an easy job. Aside from the process, it is more difficult telling a person that he or she needs to be let go. The date, name, and header. It is vital to include a header so the reader would have an idea what it is about. 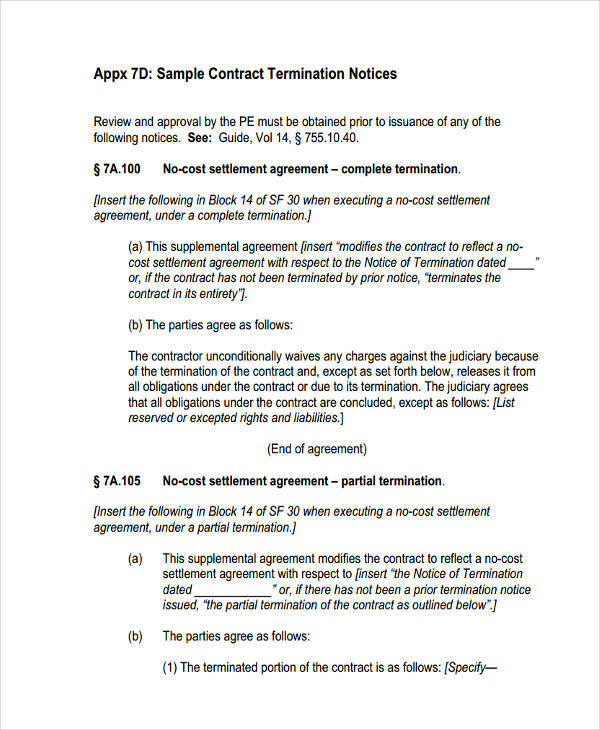 A complete explanation about the termination case, may it be for unacceptable employee performance notice, a ceasing contract, layoffs, or an eviction of a tenant. Instructions on what would happen next, what needs to be returned, and what they have to expect (date for final paychecks). Signature of both parties involved. There are two scenarios when termination arises. One with notice and the other without the notice. 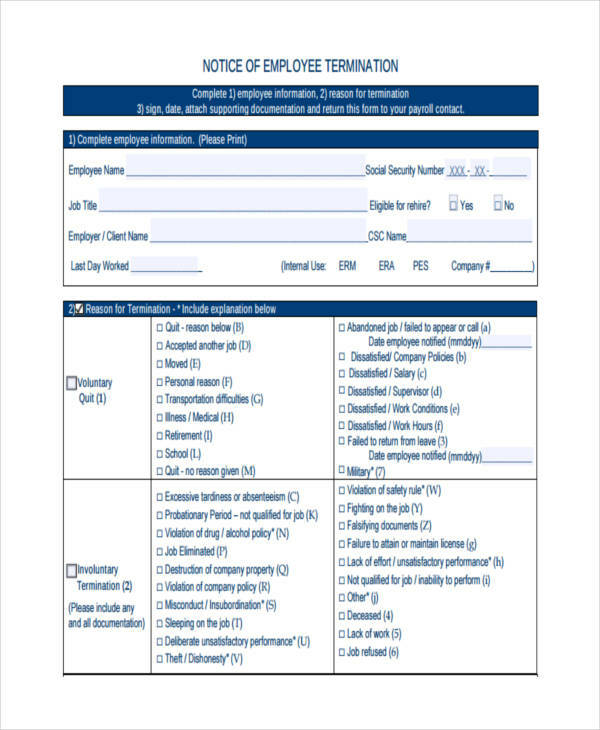 What’s the difference of having and not having a notice letter for termination? Here are a few points. FORMAL EXIT. Termination with notice is more formal compared to termination without notice. Being terminated in an appropriate way, legally, is a lawful way to be dismissed. Without any notice, it would simply mean a breach of contract. TIME-SPECIFIC. 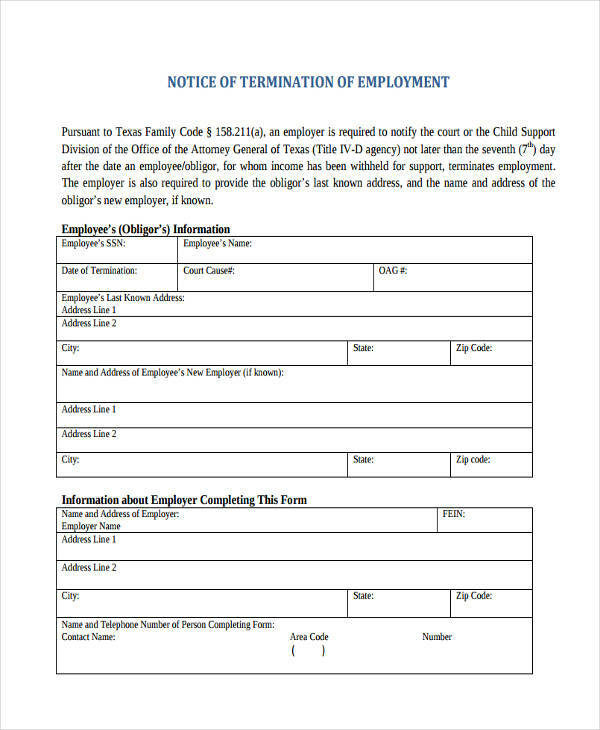 With the notice pdf, the person or people terminated will be notified as to when termination takes effect. Without a notice, people will most likely end up shocked. COMPENSATION. This likely applies to employees. Having a notice would ensure that the last days of the job are taken into account and would be compensated accordingly. As to without notice, there would be no assurance if the employee would receive any compensation. REINSTATEMENT. 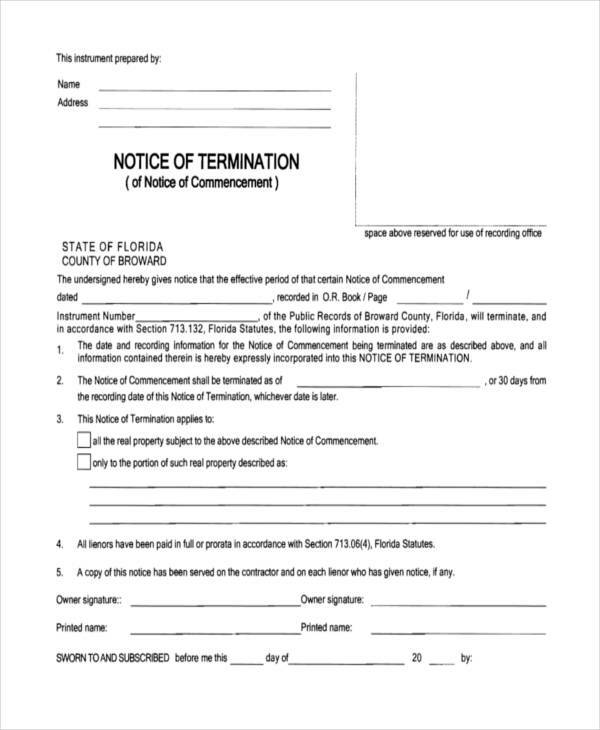 Termination with a notice in word, as said earlier, is a formal way of exit. With that, there is an opportunity of being reinstated. On the other hand, termination without any notice would most likely result in a conflict between two parties, which can actually reduce the chances of being reinstated or accepted.